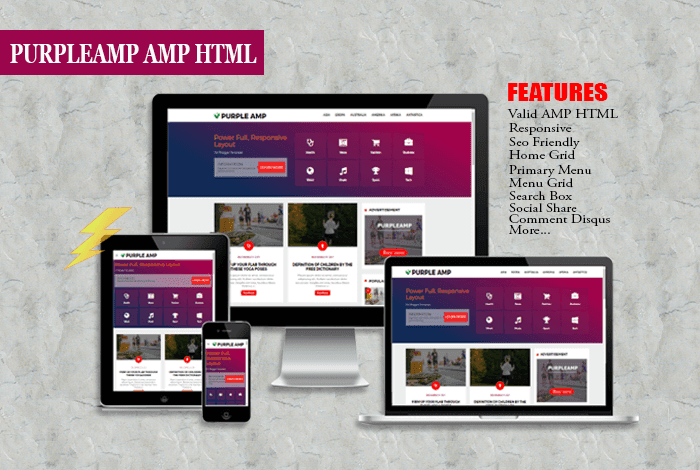 Purple AMP is Accelerated Mobile Pages (AMP) for Blogger Templates. This is a design with a Business view, just seconds to load and run everything. These templates are configured and upgraded to be super SEO friendly, and also mobile-friendly. Purple AMP is a template redesign from Piroamp free templates that you can download for free here.